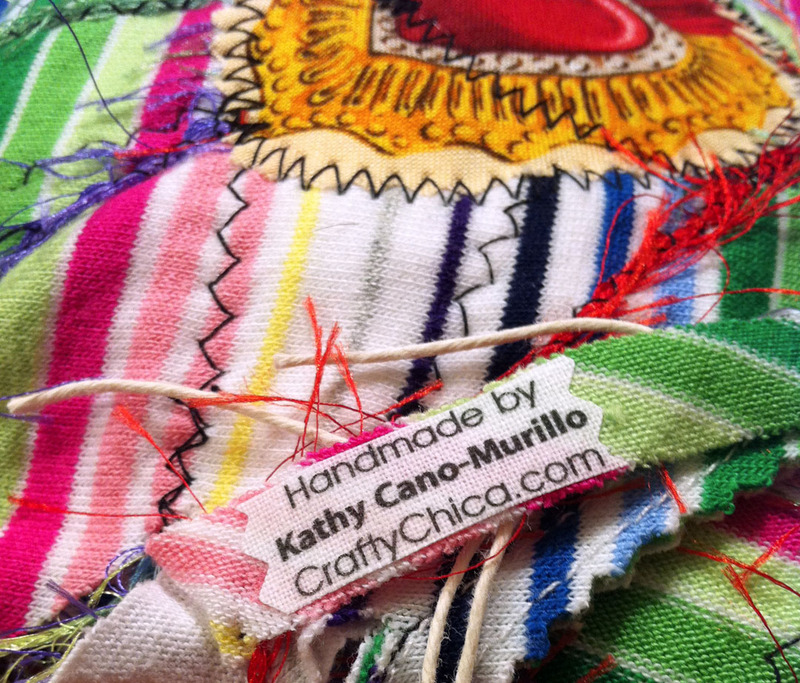 This project is dedicated to all the holiday crafties who are sewing with the winter wind! 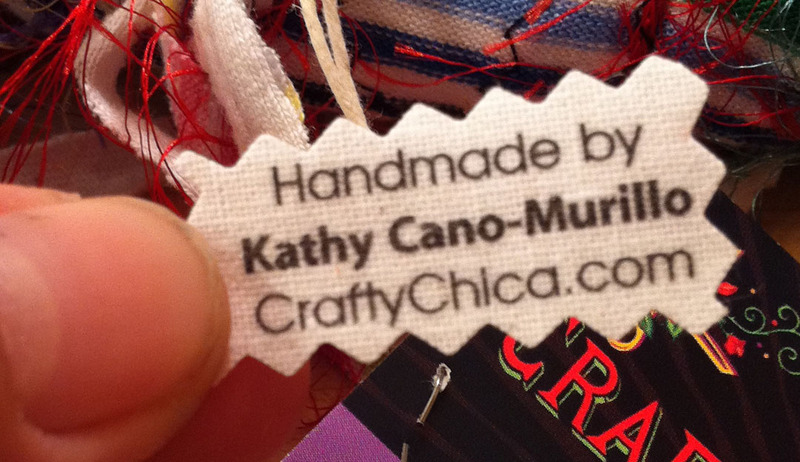 No matter what you are making, you have to add your signature or brand, especially when it comes to anything wearable. 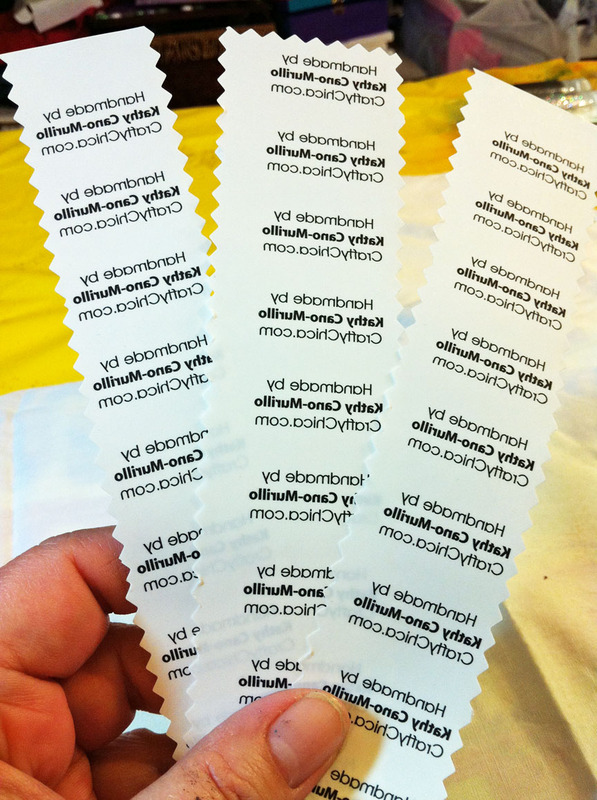 You can invest in professional fabric labels, but if you don't have time or money to do that, here is an easier way to get the job done. 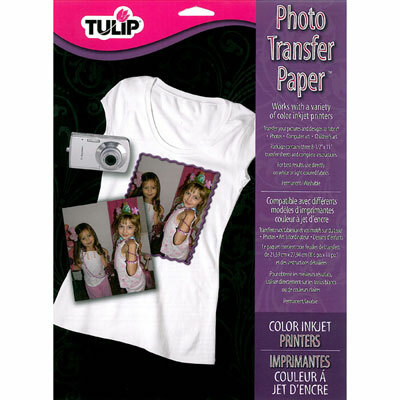 First you need a pack of Tulip® Photo Transfer Paper™, you can find this at the craft store in the fashion art aisle. Next, you'll need to design your label. 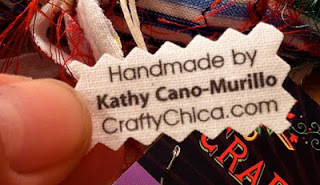 I needed really tiny labels for my fabric collage scarves, so that is why I went with this size. You can get super fancy, but I just wanted wording, so I used my trusty Word program. I spaced out my labels to give me room enough to cut in between. 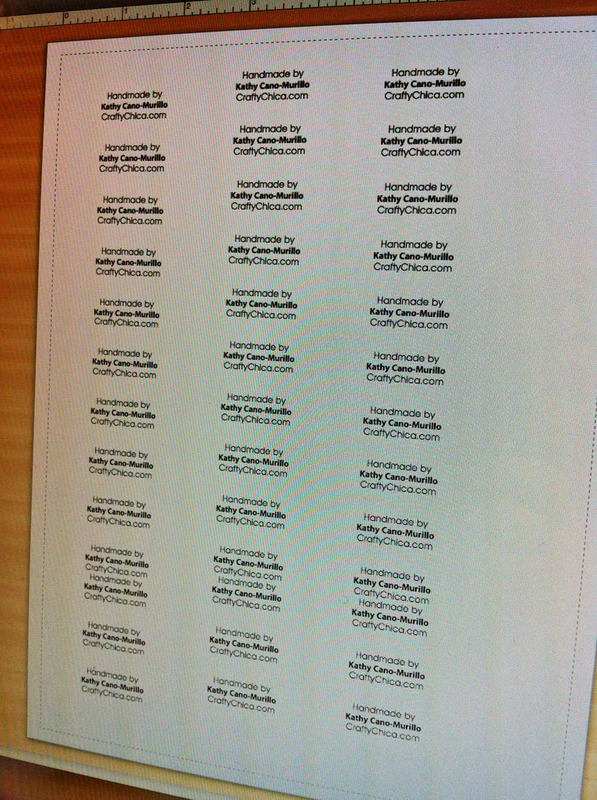 After you design your label, insert the photo transfer sheet in your printer with the stripe/paper backing facing out. VERY IMPORTANT: Before you print, make sure to MIRROR the image. 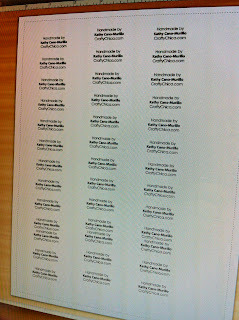 Print out the sheet and then cut the labels into strips. Set the strips face down on lightweight white cotton fabric. Set your iron on high, no steam, and glide it over the strips for about a minute. OK, here is what I LOVE about this transfer paper. 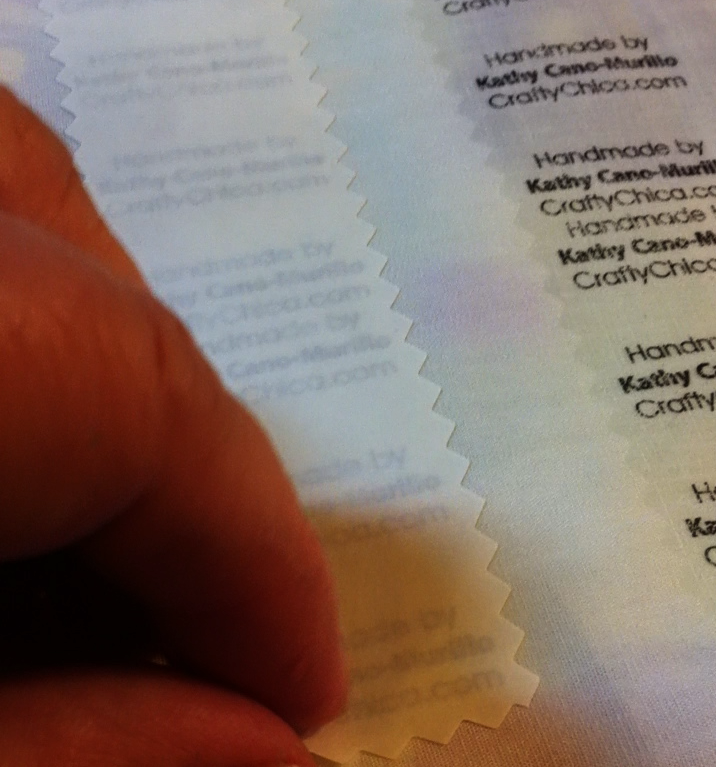 If you peel the paper backing off right away while it is still hot, the image will look matte, like fabric. 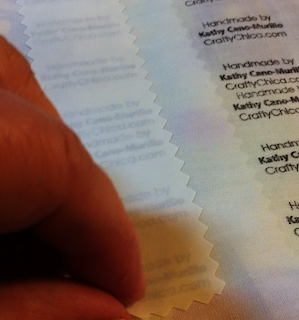 If you let it cool, and then pull off the paper backing, the image will be shiny like plastic. It's your choice. I like the matte look for this specific label design. Cut apart the labels. There you have it! I use my Crafty Chica® Extreme Embellishment Glue™ to secure it to my project. Sometimes I'll add dots of Tulip® 3D Fashion Paint™around the border if I'm feeling frisky! This looks so easy!! Thank you! Do you know how it stands up to washing? ?